Posted on Wednesday, February 15th, 2012 at 6:50 pm. To be honest, this post is long overdue. After all, our website is now the go-to place for all things Taiwanese American, and since young point-guard Jeremy Lin, an undrafted Harvard graduate, came off the New York Knick’s bench to lead a victory against the New Jersey Nets on February 4, 2012, he has continued to amaze audiences worldwide by achieving career highs with subsequent games and taking a struggling team through a series of wins. His has been a Cinderella story, indeed — a “Linspirational Linderella” story as the media might put it. Every time I have planned to put up a post about Jeremy, who is of Taiwanese and Chinese heritage but more American than anything else, it seems we’re already out-of-date. As of today, he has led the Knicks to a 7 game winning streak and has already made it on to the cover of Sports Illustrated. He keeps breaking records and making game-winning shots. He continues to captivate us with his versatile basketball skills, and as sports experts might say, he demonstrates skillful court vision and leadership. Sure, it’s only the start of his NBA career, and only time will tell if he can live up to all the hype and attention. But, I’ll say this: We’ve followed him since his Harvard days (admittedly because he was of Taiwanese descent), and we definitely saw some magic even back then. 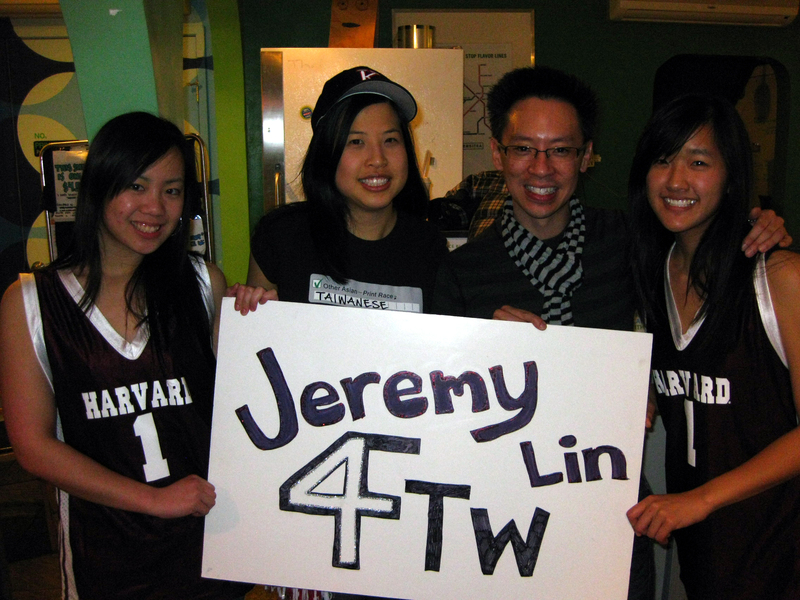 And in 2010, when he was finally picked up by his hometown team, the Golden State Warriors, we were there to cheer for him during his first game, joined by throngs of admiring (predominantly Asian American) fans. We have definitely been believers of Jeremy’s talent once we saw him play. But, when it comes down to it, sports fan or not, to us as Taiwanese and Asian Americans, he has already become our sports/ generational/ cultural icon. We all see a little something of ourselves in him. Whether it’s simply our race/ethnicity, our own personal struggles as Americans of Asian descent, our faith in something greater than ourselves, or a hard-working attitude that we can relate to, Jeremy shows us that we really can pursue our passions and live our lives to the fullest. And that says something about how we long for heroes who we as Taiwanese and Asian Americans can relate to. No doubt, he has made a mark already, being only the 2nd Asian American in the NBA, but really the first for contemporary Asian America. 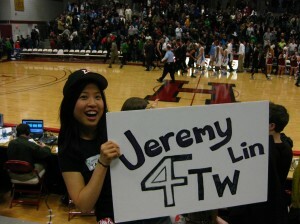 All eyes are on Jeremy right now, and we continue to root for more future successes. Like many other communities, we’ll embrace him as one of our own. So, chances are, this post WILL be out-of-date once you read this, the backlash and doubts will emerge, the losses will happen, and greater challenges will certainly come. However, we’ll let this post serve as a record of his “Lincredible” and “Linspirational” start in the NBA, knowing that Jeremy will continue to surprise us with achievements beyond our expectations for years to come. Special thanks to our sports enthusiast friends Eric Chen, Alex Yang, Eric Chang, and John Lin for helping to compile this list of articles. Additional thanks to Karen Lin, Annie Tung, and Amy Lee for photo and video contributions. Nice article – I’m from the Bay Area but living in Taipei now. It’s crazy back here! next time if there’s any knicks game watching, I will be there!!!! Thanks HoChi for posting this!